If houses and streets, neighborhoods and cities could tell us their stories, what would these be? The present dominates our sense of space, but the past is always enduring under the surface, even when it has been socially, politically and economically concealed. Jerusalem, We Are Here is an interactive documentary that digitally brings Palestinians back into the Jerusalem neighborhoods from which they were expelled in 1948. Focusing primarily on the neighborhood of Katamon, Palestinian participants probed their families’ past and engaged with the painful present. Working together, they produced short, poetic videos, filled with nostalgia, sorrow, and fleeting returns. 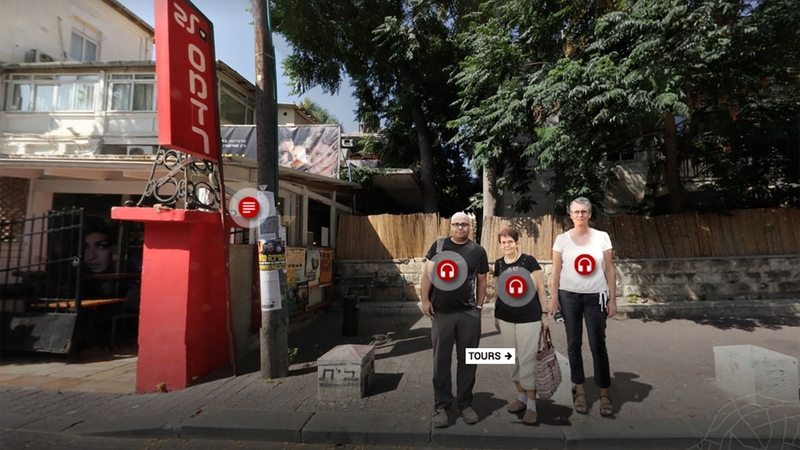 The films are embedded into a virtual tour where the audience – in Amman, Cairo, Jerusalem, Paris, Toronto and beyond – can “walk” down the streets of Katamon as these were filmed in 2012-2015. As one meanders down the streets of contemporary Jerusalem, the soundscape is of the 1940s; and when one reaches the home of each participant, one watches the video/audio produced. As the generation of Palestinians who survived the Nakba (the 1948 catastrophe) is aging and passing on, there is an urgent need to collect their stories and knowledge, and remap the space that has been declared entirely Israeli. When people flee war, they rarely take with them their photo albums or documents or the art off the walls. Remapping the Katamon neighborhood of Jerusalem, house by house, is an organic and communal activity that places them back in their homes, albeit virtually.